Discovering my Highly Sensitive Child! The reason for this particular post is a friend I bumped into at the salon the other day. We got talking and she seemed very hassled and confused, discussing herself and her son. Exchanging some tips around her sensitive skin lead into a conversation about her sensitive temperament.The discussions then moved onto her 5 year old child and that was where she was at her wit’s ends with! Suggesting a few ‘behaviours’ that she might have noticed in herself or her child and her wholehearted agreement to the observations confirmed the doubts. Now, I am NO psychologist or even close to that but I knew what she was going through because that was me, some years back. I hope this post connects with individuals and parents who have wondered at their own ‘sensitive’ behavior patterns , their child’s or anybody close to them and directs them to find out more and maybe solve a few mysteries! But let me start from the beginning, which goes a long way back. Ever since I remember I felt ‘different’. Not in any flawed sense but more at a subconscious level where I did not understand the ‘difference’ but knew I couldn’t blend in or relate to large groups. As a kid and as a teen I was never with a ‘gang’ of friends yet had the most wonderful, strong, intense friendships with a few kids .The pattern has followed into adulthood. Some labels I earned were keeps to herself , aloof , quiet , shy , not very social , looks lost and the likes. At home I was the one who needed more ‘down time’ that could be observed in the frequent breaks I needed to retire to a quiet corner or room for some privacy, calm and quiet whenever we were entertaining large groups ( its quite a family joke, they know where to find me when I am missing from action!). I also hated marketplace experiences and even now as an adult I avoid malls, loud parties or any such place with large crowds.They overwhelm me with all that visual and aural stimulation. I prefer less cluttered shopping destinations, intimate gatherings and calm environs. Prolonged exposure to sun makes my skin break out into allergies and gives me very strong headaches. A small drink at parties is enough to affect me. There are many more signs of physical sensitivity. I would also get hurt easily , more prone to withdrawing into a shell if upset (mum called it sulking) and be upset longer than needed.But then I was also known to be creative, good with languages, sensitive to people’s needs, ethical , gentle, a ‘thinker’ and someone with a rich, complex inner life. And I happily accepted myself as I was, though forever puzzled about why I felt ‘different’. This was all very well till my son came along. I started observing some very typical behaviors right since he was a baby – he was very sensitive to large groups, heat, cold,wetness and strong light – waking up even if I turned sides in bed. When he was old enough to start expressing ,he would ask me to cut off all tags on his clothes as they irritated him.He didn’t like wearing socks too much.He took a long time before he was comfortable with new situations, people or experiences. He would be amongst the last ones to join in the games when invited to birthday parties. He took the longest time to start being on his own at his play school or when we changed schools later. He would refuse to wear the fun ‘masks’ , ‘bunny ears etc’ or the ‘makeup’ at school celebrations. So when I saw most children excited and running around and taking to new experiences easily and adjusting better , naturally I wondered. I thought he was being too clingy, nervous, shy and different. I wondered if I wasn’t bringing him up confident enough.No amount of pushing or encouraging worked- he took his time. But his teachers would be amazed with his creativity, curiosity, quick intelligence, sense of humor, sensitivity to others and so on. It got me going into research mode so that I could understand him better and help him cope better.The discovery that began with wanting to understand my child better and help him cope with social and physical situations better led to the most amazing, wonderful, relieving and joyful discovery of myself. SUDDENLY I KNEW! I knew why I hid from chaos, why I hated confrontations, why i needed more down time, why i did not like malls and parties and that I wasn’t ‘shy’ or an ‘introvert’ or ‘lacking’ …’And boy! Was that a relief! It changed…no, turned on its head -my self perceptions and understanding of my personality and my son’s. 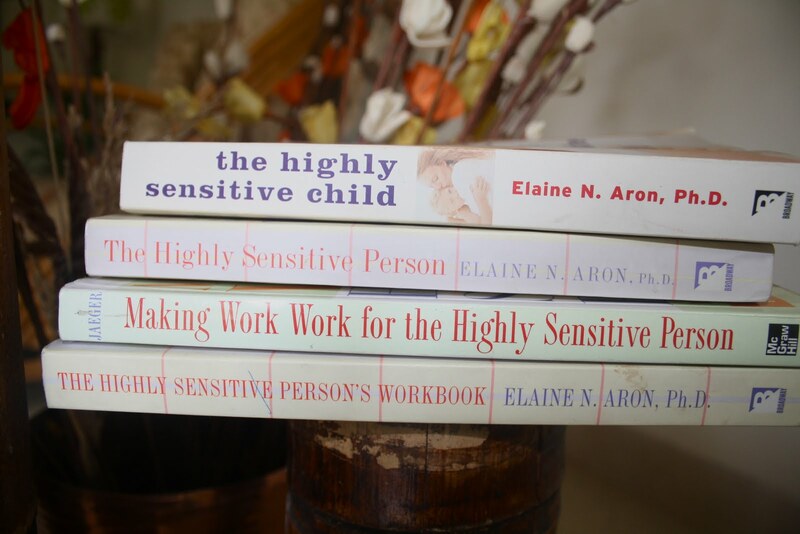 I discovered Dr. Elaine Aron and her pioneering research on Highly Sensitive Persons. 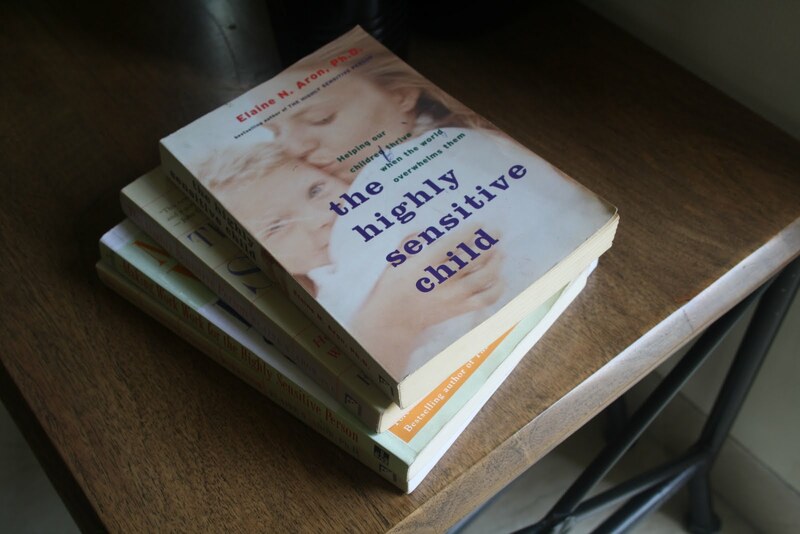 I read, took the self-test and was so convinced that I ordered her book on sensitive kids – ‘The Highly Sensitive Child- Helping our children thrive when the world overwhelms them’ and then ‘The Highly Sensitive Person- How to Thrive When the World Overwhelms You’. It was as if somebody had opened a door.There was no looking back. Reading, researching and applying my understanding- both to myself and my child transformed both my self perception and the way I handled my child’s behaviors. I understood. And here was relief, joy, wonder and gratitude. From understanding came the coping tactics and from their application came success. So, what is being a Highly Sensitive Child /Person all about ? To give a very broad overview-HSPs form 15-20% of all evolved animal species and are individuals with a more than usual sensitive nervous system which translates into certain social behaviors, heightened physical and emotional sensitivity. As kids they often get labeled as shy, quiet, under confident and introverts. And HSPs are anything but those. They are just more ‘sensitive’ which leads them to take some more time before jumping into new situations , for instance. Or avoiding over stimulation. Or needing more down time. And similar. Its been almost 10 years since I discovered the research and my life is so much more richer. I hope this post finds its way to more HSPs and probably guides them to a very exciting and joyful journey of self discovery. I also hope it reaches parents who may be struggling with trying to figure out their ‘difficult’ child! Truly appreciate your efforts to open-up and even better, I am impressed that this will definitely be helpful to moms who may find it relevant….Way to go! Great article yaar! You happen to be one of the most confident people I know so that's also a huge part of who you are. Keep on keeping on. Vandana, this sounds so promising —- both my son and I seem to fit this profile and have a hard time fitting in —–will order the book right now —-interesting that I stumbled upon this blogpost via Esvasa and the link to your DIY health bar 🙂 —-thanks! i could so relate with it…seems so for me..
will try and get the books..